The Government of India is planning to construct 14,460 bunkers for civilians in five border districts in Jammu & Kashmir – Samba, Poonch, Jammu, Kathua, and Rajouri – which reside along Line of Control (LoC) and the international Indo-Pakistani border, reports The Times of India. The state-owned National Buildings Construction Corporation (NBCC) will build these bunkers in populated regions that rest within 3 kilometers (1.86 miles) from the de facto border between the two countries, which have experienced an increasing amount of incursions by the Pakistani Army. In February, Jammu and Kashmir Chief Minister Mehbooba Mufti announced during a State Assembly that 41 civilians had been killed in ceasefire violations along the LoC by Pakistan between 2015 and 2017. To safeguard civilians from Pakistani shelling across the border, NBCC will build 13,029 small bunkers and 1,431 more massive community bunkers. The Times of India said the construction program would cost around 4.157 billion rupees (US$63.8 million). The chairman and managing director of NBCC, A K Mittal, told The Times of India that “pre-cast construction methodology” would be used for the bunkers. “Strategically located casting yards will be used to fabricate RCC components, which shall be transported by trailer/ tractors and the bunkers will be erected by cranes and labourers. We will plan in such a way that each bunker is completed in maximum 2-3 days,” he added. The Times of India provides insight into the specific locations where the individual and community bunkers will be built. In addition to building thousands of bunkers, The Times of India indicates NBCC has already started erecting border fencing along the India-Pakistan border. “It’s a prestigious and challenging project for us. We will meet the time line, which will be set by the J&K government. While we are building World Trade Centre in South Delhi we are also engaged in road and fencing works in Assam, Meghalaya, Mizoram and Tripura on Indo-Bangladesh border and in Gujarat on Pakistan border,” Mittal said. 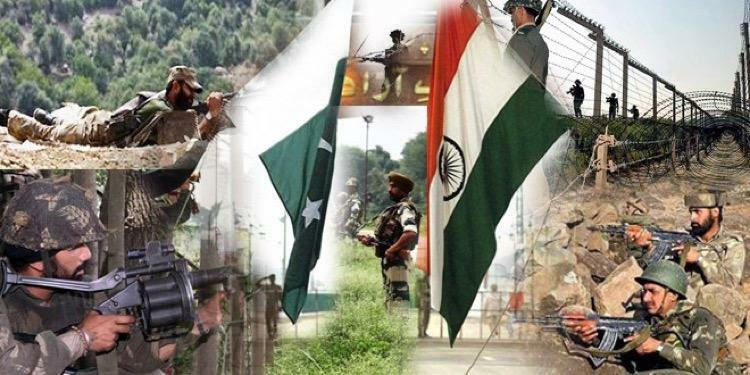 Despite the 2003 ceasefire agreement, violence has recently erupted between both countries on the LoC, which marked 2017 as the bloodiest year since the ceasefire agreement came into effect. Earlier this year, we reported on 40,000 Indians fleeing the Jammu and Kashmir region, as intense military shelling from the Pakistani military turned the region into a war zone. The sporadic cross-border military skirmishes between both countries have led to fears of another Indo-Pakistani war breaking out. According to government statistics, there were some 860 incidents of ceasefire violations by Pakistan military forces along the LoC in 2017, compared with 221 the prior year. As India prepares to build thousands of bunkers for its civilian population before the next conflict breaks out, Western media outlets have ignored this dire situation and would rather focus on unverified claims of a Russian nerve gas attack in the United Kingdom. Nevertheless, the LoC could very well be the epicenter of “World War III,” said the Daily Express.